Chicken Pulao is quite similar in flavor to chicken biryani. 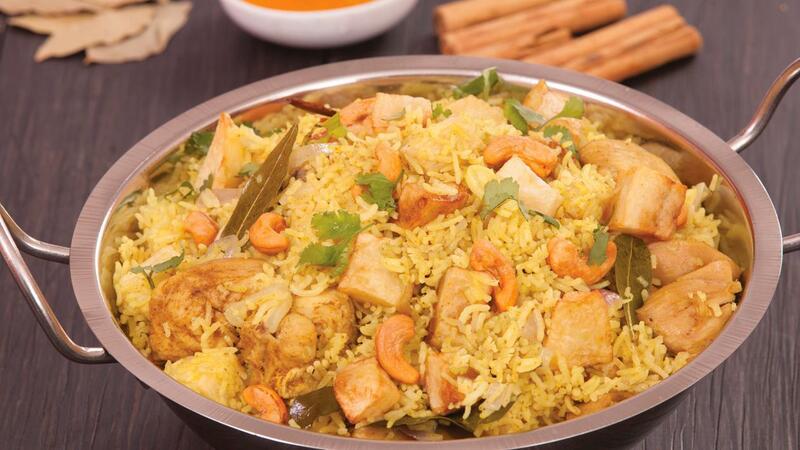 This delicious, rice & chicken dish mildly spiced with Asian flavors, makes for an enticing complete meal on its own. View the full recipe below. Heat a thick bottom pan with oil to the medium heat. Sauté the ginger, onion and garlic, all spices and herbs and fry them till light golden. Then add chicken, drained rice and sauté for few minutes. Add water, Knorr Chicken Seasoning Powder, bring to bile and close the lid tightly making sure no steam passes out of the pot and cook on low heat until the rice is fully done. Finally add Knorr Lime Seasoning Powder, cashew, coriander leaves and the fried potatoes to the rice and gently mix it before serving.